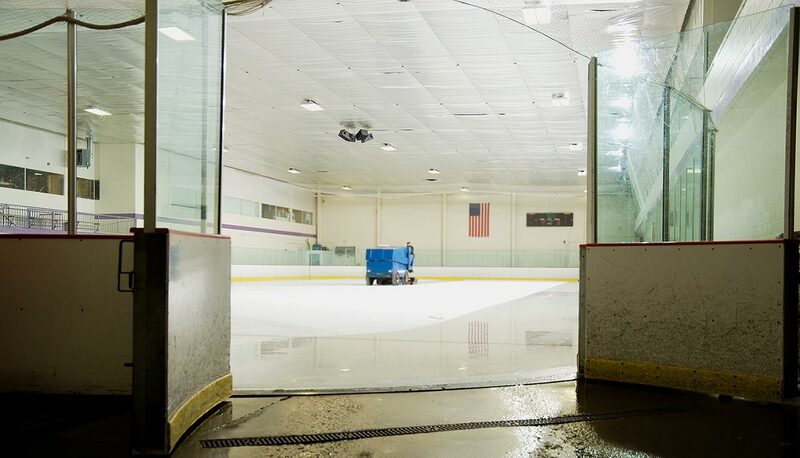 The day after Americans voted, parents at the rink in Boxborough, Massachusetts, an exurb west of Boston, were thinking more about how their kids were progressing on the ice than about the mid-term election results and what will happen with a split Congress and Trump. But another dad at the ice arena, 54-year-old Daniel, is not only pessimistic, he’s disgusted. Daniel and his family moved to Massachusetts two years ago after living in Japan for several years. Living in Japan was like living in “a utopian bubble,” he says. He’s especially disgusted that in some of the poorest districts, only one voting machine was working and polls closed on time even while people were still waiting in line after lining up for hours. “It’s like some third world country,” he complains. Daniel said he’d listened to Trump’s post-election press conference on his way to the rink. Daniel was born and raised in Alabama and his 75-year old mother who now lives in Florida just spent six weeks visiting her son and his family but went home in time to vote. “Mom ran back to Florida to vote for every Republican she could,” he says ruefully. “She definitely went to the dark side. But Daniel has some harsh words for the Democrats too. Another voter who isn’t happy with what’s happening in America is 43-year old Lorena, who emigrated from South America a couple of decades ago. She was watching her daughter’s figure skating lesson. “I grew up very old-fashioned in Colombia,” she explains. “My values and customs are traditional. I’m also a very religious person. I voted all Democrats. We don’t belong to the Democratic party but we tend to Democrats. It depends on the person. It all depends on the values. I’m not happy with the president. He has too much ambition more than real values. About Trump’s press conference and firing Sessions, she says, “We knew this was going to happen. We knew something crazy was going to happen because of his controlling power. There are so many people against him and what he’s doing but the results are the opposite. Lorena is very aware of life in Canada because she has friends who live here. “I admire Trudeau,” she says. “He’s unbelievable — so open-minded, so respectful, an example to follow. Another figure-skating mom, 44-year old Annabelle, explained that she couldn’t vote because she’s a British citizen, even though she grew up in the U.S. But she said that, even though her American husband is “a big Republican, he voted as an independent for the first time because of Trump.